I have been working in the library seven weeks now and have seen students confused at some changes the library has instituted this year. For one, I was surprised to hear that the library is no longer using bar codes. This time is a fact checker blog and not a strategy entry. This entry will focus on things I have observed while working in the UD library and what have confused students the most so far: The Library Cards and number of books they can check out. The bar code number that used to allow students to check out books is now obsolete. The new ID cards given at the beginning of the year have been infused with a number that will be registered into the library system. However you have to go to the library and have the numbers changed. Some people have saved their library cards from a previous year and tried to use those without knowing about the new system. To obtain a new card, go to the Campus Safety office in the Haggar building and ask them for a new ID card. That is all it takes. Each student has a limit of thirty books that they can check out at one time. Additionally, each book can be renewed three times unless someone has reserved the book while you have it in your possession. Hope this helps and again continue in your quest for books. 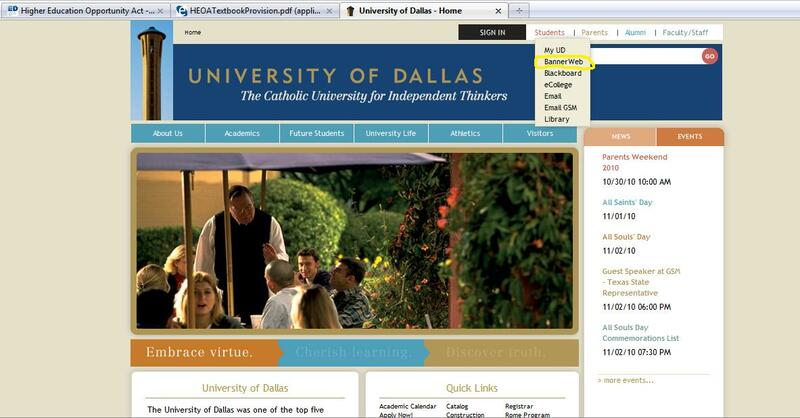 Any other information can be found on the University of Dallas site under their Library section. What happens when you are on a budget? Money is saved and spent according to necessity. Preparing for college, particularly the University of Dallas, books take up the most out of people’s budget and choosing the right books can be a stressful process. You need to save money…but which books do you need now and which ones can be bought later? This question and its answer can either help you gracefully or stab you in the back painfully. Sometimes a teacher gives their list of books early so that you have time to get them over the summer but then there are times when the number of books reaches a point where you can’t buy them all. So it’s time to budget but how? 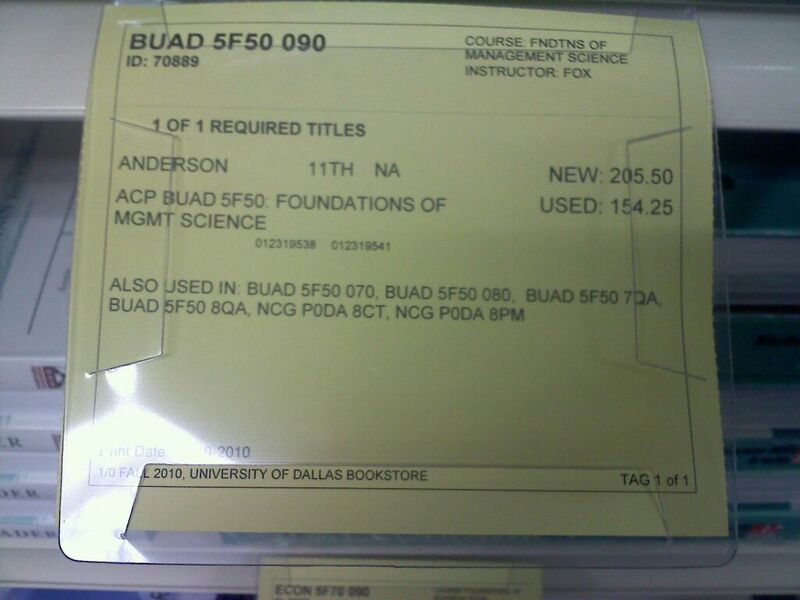 At the University of Dallas, there are ways as to figure out which books are absolutely necessary for a particular class. 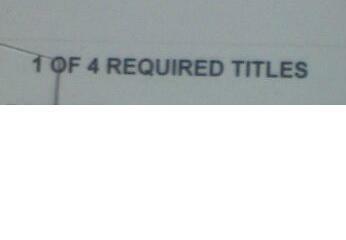 Asking people who previously took the class helps limit the book number down. Often the teacher lists their most important book(s) first and their other books are mentioned later. As an additional bonus, the teacher may give you a handout with a calendar list of which books will be required for their next class. 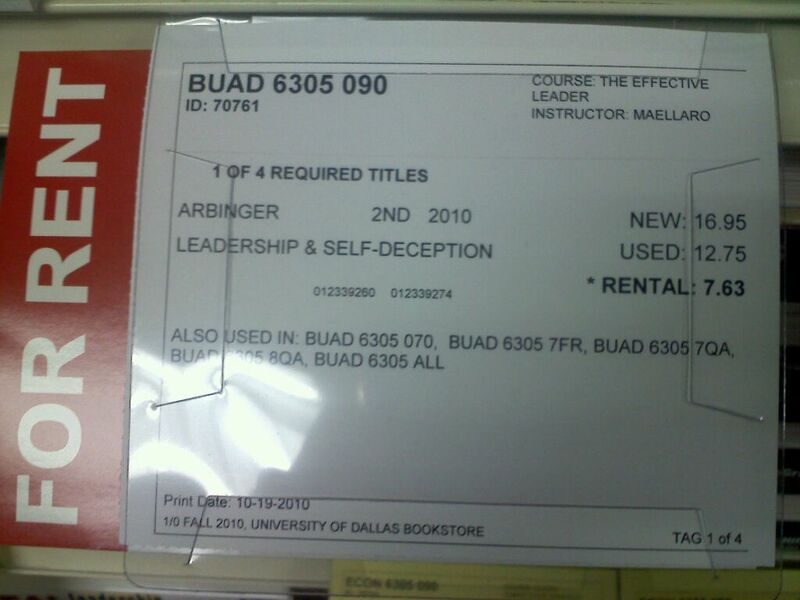 Another strategy is to contact the University of Dallas bookstore by phone or in person and reserve a book. Their holding length has changed over the years and this year a person only has until closing time before they re-shelve the book. If one cannot reserve then another option to choose between new and used. For some classes, if they require a lot of books then it might be unavoidable to buy used. Fortunately, the UD bookstore grants students the chance to look at the book(s) before deciding which to buy. Another option is to get a book voucher from the Business Office in Carpenter Hall. The voucher limit is $300 so as long as one stays within that price range then a student should be alright. However they will put this on your bill later on so be cautious when deciding to get one. Most important factor here is to not be discouraged. The first week of college usually doesn’t require anyone to bring their books. That first week is usually used to establish how the class schedule will be and what to expect.